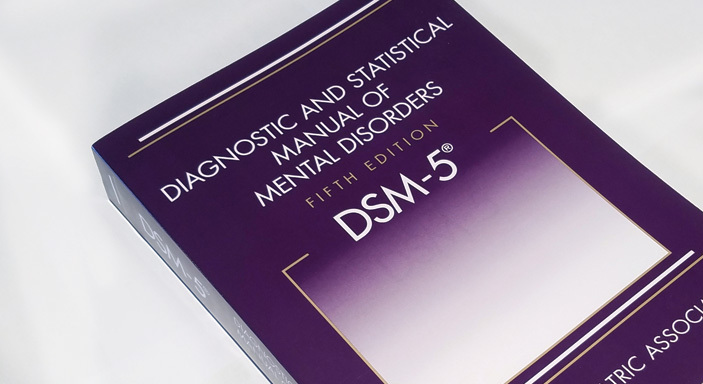 The Diagnostic and Statistical Manual of Mental Disorders (DSM–5) is the product of more than 10 years of effort by hundreds of international experts in all aspects of mental health. Their dedication and hard work have yielded an authoritative volume that defines and classifies mental disorders in order to improve diagnoses, treatment, and research. The following proposals were approved by DSM Steering Committee and are being posted for a 30-day public comment period. Understand the changes and be prepared. Coding updates to the ICD-10-CM went in effect October 1, 2018. Find online assessment measures, fact sheets and webinars. Access resources, find updates to DSM–5 criteria and text, find coding updates, learn about reimbursement issues and help with the transition to ICD-10. Learn how to propose changes, corrections and clarifications to the DSM–5. Send us your questions, provide feedback and view frequently asked questions. DSM–5 is the standard classification of mental disorders used by mental health professionals in the United States. Learn more about the development of DSM–5, important criteria and history. Let us know if you are unable to find a resource found on the previous website by contacting us at dsm5@psych.org or 1-888-357-PSYCH (1-888-357-7924). Psychiatric News: APA Advocacy Wins Coverage of DSM Codes in 12 States, D.C.